Getting a car can be an exciting purchase. It gives you the freedom to travel wherever, whenever. However, many people aren't buying cars for fun, they are more for necessity. Whatever the reason you are buying a car, chances are you will need an auto loan. Even if you can afford to pay for your car outright, Autotrader explains that there are times when getting an auto loan might actually be a better financial decision. While getting an auto loan can be a confusing and stressful process, it is also an essential process that often goes hand in hand with getting your car. The first thing you'll have to do is check your credit, according to Credit.com. Your credit report is available once a year for free from TransUnion, Experian or Equifax. FICO will tell you your credit score for a small fee, according to U.S. & World News Report. Your credit indicates to lenders how much of a risk you are. In other words, lenders will use the information from your credit report and your credit score to determine whether you are likely to pay the loan back on time. If your credit score is below 720, some creditors may turn you away. If your credit is low/poor, you many have a harder time finding an auto loan. However, it's important to not let a bad credit score discourage you. According to Bankrate, there are ways those with less-than-stellar credit can still get an auto loan. Not all lenders view credit in the same way. While some may think 700 is too low, others may think it's not bad. 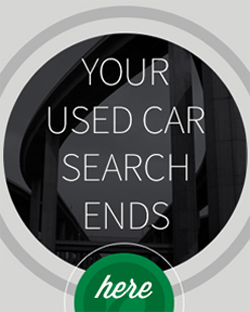 The important thing is to shop around to find an auto loan that best suits you. If you want to improve your credit score before you begin looking for an auto loan, tackle any debt you have and enroll in automatic payments on your recurring bills. After some time, this will help to improve your credit, U.S. & World News Report explained. "Your credit indicates to lenders how much of a risk you are." Bankrate advised those looking for an auto loan to check first with their bank, credit union, employer or insurance company to see if they offer affordable options that they qualify for. These prospects may present a better chance to secure an auto loan than institutions that don't have a history with an applicant. It's a good idea to apply for several different auto loans. Some may not approve you and others may have terms and conditions you don't like, but be sure to research a variety of options to find the one that is best for you. In doing this, you may face some rejections. While being turned down can be discouraging, it is better for a bank to turn you down than to sign an auto loan that has payments you won't be able to keep up with, U.S. & World News Report reasoned. As important as it is to know your credit score, it is even more so to know your own financial situation before applying for an auto loan. You'll need to know how much you can afford and how big the monthly payments might be. 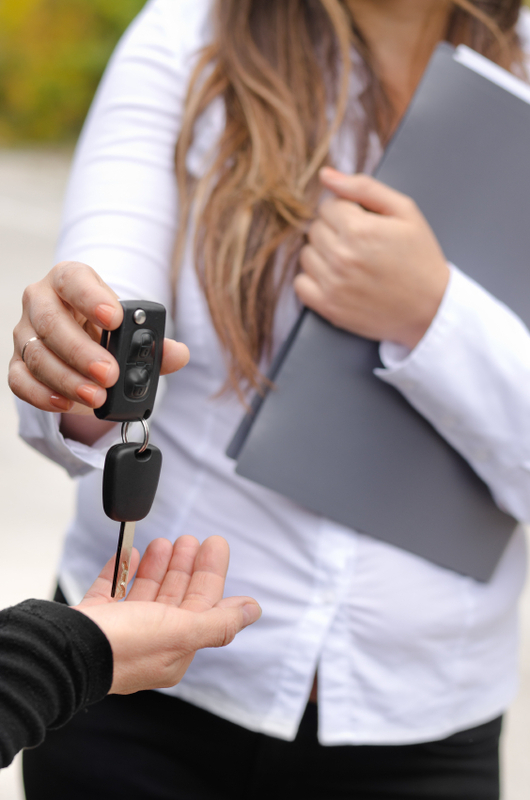 There are several different payment plans people can choose when deciding on an auto loan. They generally last for 3 to 6 years and the longer terms will usually mean your monthly payments will be smaller. Getting pre-approved will help you find out how much you can spend on your car, Credit.com explained. A pre-approval letter will tell you how much you can get a loan approved for from that specific institution. U.S. & World News Report explained that getting pre-approved will also help you find the best deal on an auto loan. Some car dealerships will offer in-house auto loans , but they might not always be the best rates. If you have a lower credit score, you will get higher rates at many of the places you apply to, so comparing them is crucial. A pre-approval letter will usually expire at some point. Credit.com advised people do decide on a car within two weeks of getting pre-approved. This is not only because the letter will become moot, but also because of the effect applying for auto loans will have on your credit score. Your credit score is calculated based on payment history, types of credit you have, debt you have and any new credit. If you are applying for auto loans, you are signaling to creditors that you want to take out new credit, which will lower your score. Lenders do understand how crucial it is to shop around, though. All auto loan applications and inquiries into your credit within those two weeks will all count as one, so your credit won't be damaged. However, if you shop around for much longer than that, it has a chance to negatively impact your credit. Getting an auto loan is easier said than done. With some preparation and some research, you are sure to find one that suits your needs. We just move here in Kentucky from Philippines and we still dont have credit score, can help me or give me option on how can I get approval for autoloan financier..Ty! Thank you for reaching out. We would definitely like the opportunity to see if we can help you out. There are two options for getting a pre-approval with DriveTime. 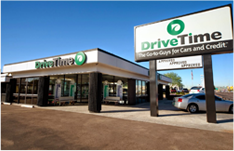 The first option is through our website at http://www.drivetime.com, and the second option is by phone at (800) 965-8042. If you have any other questions please do not hesitate to ask. Thank you for taking interest in DriveTime! In regards to your credit being ran for an approval, I would encourage you to contact our Corporate Sales Team at (800) 965-8042 and a representative will be glad to assist you further with all of your questions.